In November 2014, we decided we will be selling items that we love, selling unique items, and selling items about topics that we have an interest in. I decided that The House of Awareness site name gave me the flexibility to provide a variety of merchandise. You may be aware of a topic such as autism awareness, cancer or mental health. You may also be "aware" that you need some fun jewelry or other items. 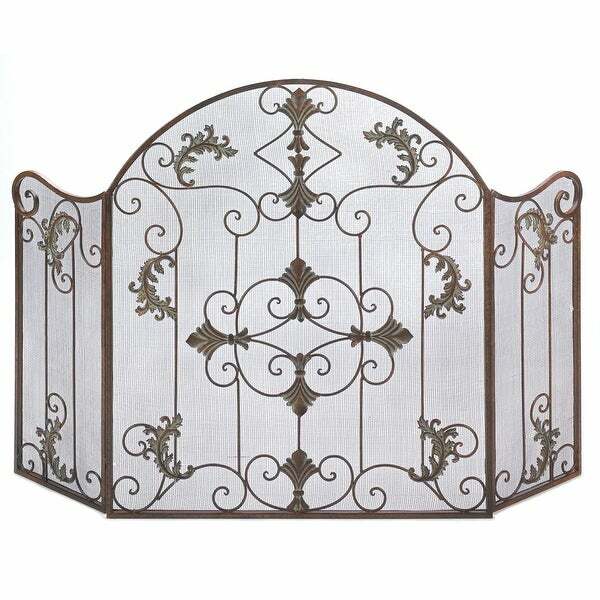 Florentine Fireplace Screen A warm rustic finish and ornate scrollwork give this metal screen the look of a timeless Italian treasure graciously keeping stray sparks and fireplace embers at bay. A handsome enhancement for any décor! Weight 10.5 lbs. Wrought iron. 46 3/4" x 1/2" x 31 1/2" high. thehouseofawareness Check out all of our fireplace screens. "Can you give me the dimensions of each panel? I see the sides are shorter and am wondering if they can be partially inside the fireplace? We have a small opening 36" wide so if the center is that size or less this could work."